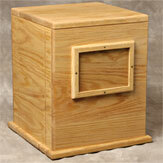 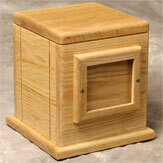 The Classic Collection From MCS Supply Inc.
Handcrafted in rich oak wood. 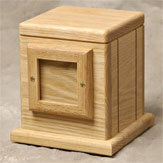 Elegance in its simplicity. 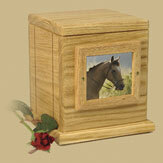 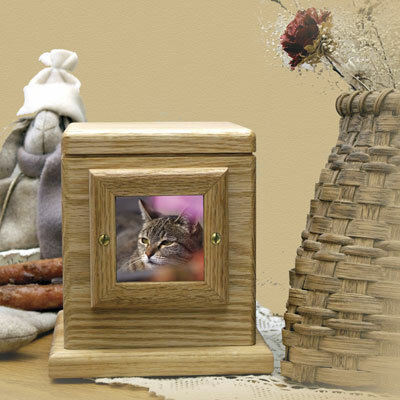 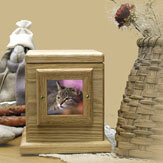 Mounted frame holds the photo memory of your beloved pet, which is accessed by two screws. 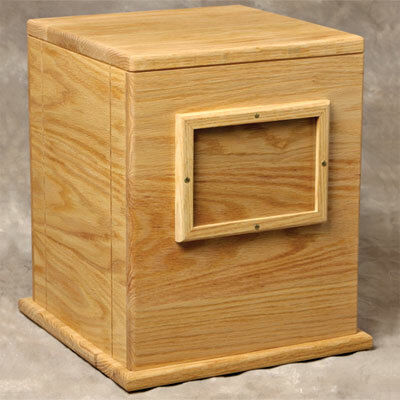 The bottom removes for access and is secured by 4 screws. CLASSIC SMALL Urn Size 5¾" x 5¾" x 6½"
Photo Size 2¼" x 2¼" 53 Cubic"
CLASSIC LARGE Urn Size 7¼" x 7¼" x 8"
Photo Size 3 3/8" x 2 7/8" 147 Cubic"
Photo Size 5" x 7" 1488 Cubic"